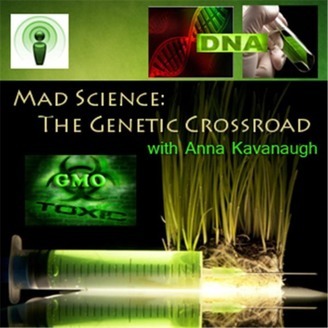 Anna Kavanaugh hosts the weekly radio series, "Mad Science: The Genetic Crossroad." The program aims to raise awareness and provide education about genetically modified organisms (GMO), in the world food supply and the practices of the GM biotech industry. 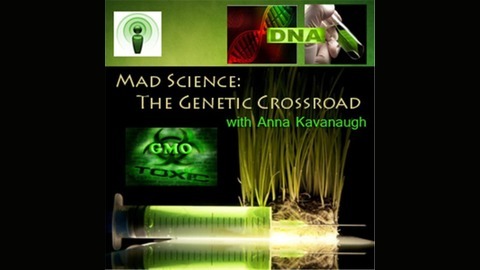 The series is dedicated to all issues surrounding GM foods, its usage and ramifications thereof. Anna is a writer, advocate, and founder of the (AKCF) Anna Kavanaugh Charitable Foundation. Her original novel, "The Cord of Callows," now an upcoming expanded trilogy series, is the inspiration for a GMO documentary film entitled, "The Cord of Callows trilogy: Fact Behind the Fiction. Fear Behind the Fact." One of the latest practices in biotech is a process that allows DNA to be edited down to the letter. Known as CRISPR technology, scientists now have the ability to control gene mechanisms with unprecedented accuracy and without traditional invasive high-cost GMO procedures as they exist now. In effect, CRISPR is the evolution of GMO. All of this allows corporations to continue producing genetically altered foods without ever having to worry about legislation or labeling mandates. As consumer "right to know" demand increases and more companies are responding to protests by voluntarily labeling GMO products or removing them from their ingredients altogether, industry is well ahead of the game and consumers should not be fooled into complacency. CRISPR technology allows a crafty bypass because it is not recognized technically as a GMO process as is currently defined. Industry can use this technology to dodge existing regulations now, or in the future, and avoid GMO stigmas in public perception as they continue driving corporate profit. They would not have to disclose this new process to regulators or the public, rendering the hotly debated GMO labeling issue effectively moot. Present day loopholes in an obsolete agribusiness regulatory system may be the biggest challenge yet as consumers fight to stay informed and aware of what is happening to the manufacturing of food. Is CRISPR technology the ultimate bait and switch in the GMO debate?